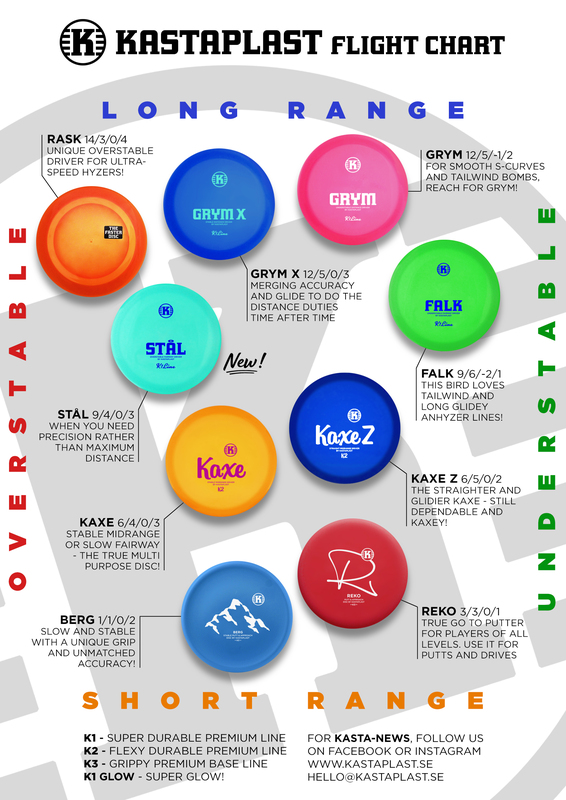 Disc golf is an amazing way of living, which is why Kastaplast is up to the challenge of exploring, designing and developing products that won’t let you down. Officially founded in 2013, it has been an ongoing project since 2011. The people behind Kastaplast are Anders Källström, Per Jonson and Jonas Lindberg. Based at Kungsholmen in central Stockholm, Kastaplast brings new technology into the sport. Professionals in aerodynamics and engineering using state-of-the-art working tools like 3D printing and computer flight simulation are involved in designing. But technology stuff aside, results are always based on extensive field testing. Kastaplast translates “throw plastic,” which is what we all love to do. Let’s Kastaplast! K1 Glow - same super durable plastic as K1 - powered with glow!